Carries out risk assessments of passengers and selects those requiring enhanced security screening. The loader is in a key position to observe any suspicious behaviour (such as furtiveness, uncooperative attitude or hesitancy) as passengers approach the x-ray machine. Ensures baggage is placed properly on the feed belt for the X-ray equipment to ensure effective image production. Prevents unsuitable items from being placed on the conveyor belt. Instructs passengers to take out any electronic and electrical equipment such as PC laptops and mobile/cellular phones from their baggage and place them in the trays provided, in order that they pass through the X-ray equipment isolated. Stops machine if any item is being jammed or trapped. Requests that baby strollers, child seats, etc should be collapsed to pass through the X-ray. Performs correct start-up test procedures for the X-ray equipment at screening point start-up times. Observes task times, time on screen and decision times. Interprets the X-ray images produced by the X-ray equipment. Visually scans for objects as efficiently as possible to keep the flow of passengers at an acceptable level and makes a decision about each bag, in a demanding and high workload environment. Selects bags that might contain a prohibited article (or any item that cannot be positively identified) for further processing by hand search and application of trace technology. Pinpoints the shape, size, and location of potential concealed threats. Shows the searcher the suspicious item on the X-ray monitor to help him/her in the search of the baggage. Manually inspects items requiring additional processing after selection by the X-ray screener. Observes whether passengers whose bags are selected for search appear nervous which can indicate they know the bag contains something prohibited. Performs correct search techniques when conducting searches of carry-on baggage; and responds appropriately when prohibited articles are discovered. Uses explosive trace detection equipment (if available). Informs the screener of what the object was that caused the suspicion, once a search is completed. May fill in for screeners and other staff when they must leave their posts. The Supervisor should not generally be involved in operating the equipment, but should assist with passenger risk assessments and the guidance of staff on contentious security issues. Helps to ensure members of the public follow safety instructions, and don’t spend time around the x-ray inspection system longer than is warranted. 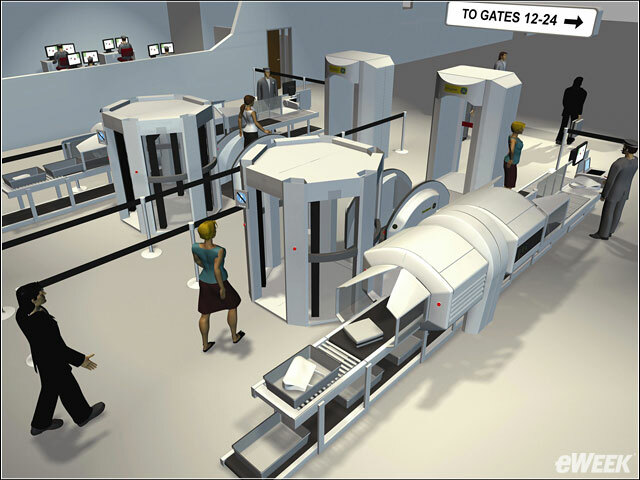 (Where 2 x-ray units and 2 AMDs are utilised at a single centralised screening point, a single Supervisor may oversee both operations. Additional combinations of x-ray and AMD should have additional Supervisors deployed).